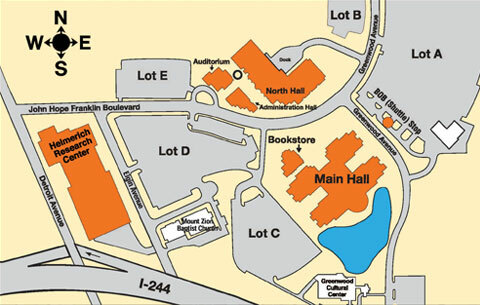 Find what you need and buy it online at the OSU University Store website at shopokstate.com. Your order will be delivered right to OSU-Tulsa free of charge in a matter of 1-2 days. 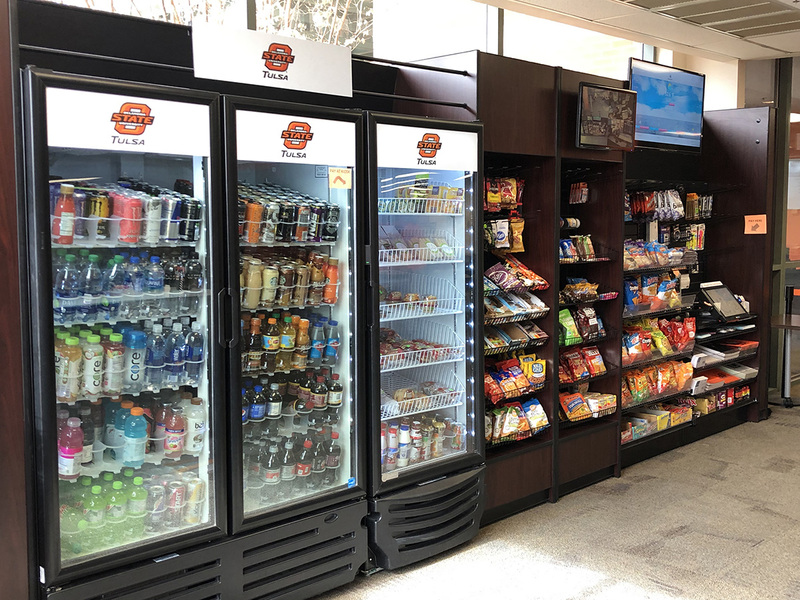 Pick up your order on campus at the Information Center in the North Hall Lobby or pay to have them shipped directly to your home. Need help making your order? We have on-site assistance for textbook and supply orders. Buy books for all of your courses at OSU-Tulsa, Stillwater and online in one place. Log in and bring up your individual class schedule along with a list of required textbooks for each course for easy ordering. Charge up to $1,500 for textbooks and some other items to your Bursar account. Take advantage of competitive pricing and a larger selection. Get greater access to OSU goods and apparel. What about supplies I need right away? You can purchase notebooks, pens, Scantrons, Blue Books and other supplies through our self-serve marketplace in the North Hall Lobby. Or choose from a large selection of snacks and drinks to satisfy your hunger. The marketplace kiosk accepts credit and debit cards and is available whenever the building is open. Can I buy OSU apparel and T-shirts here? 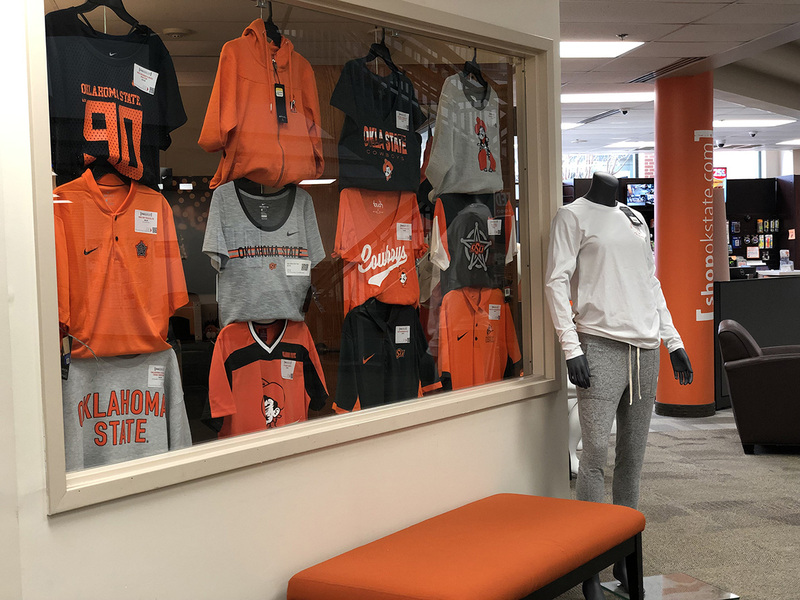 As an added convenience, OSU-Tulsa's marketplace also has a wide variety of OSU T-shirts and apparel on display to help you make a purchasing decision. Once you decide on the design and feel you want, just scan the QR code and use it to order online at shopokstate.com. 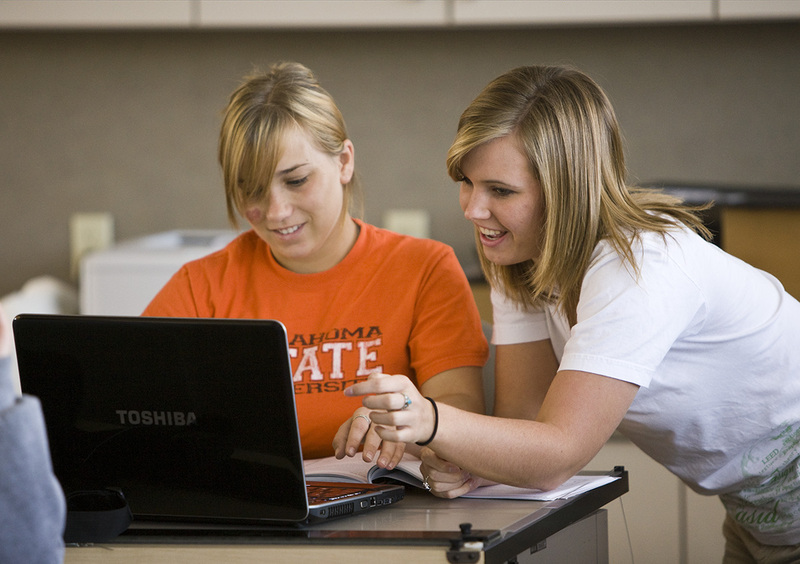 The University Store works directly with OSU faculty members to ensure shopokstate.com has the books and materials that students need to be successful in class. 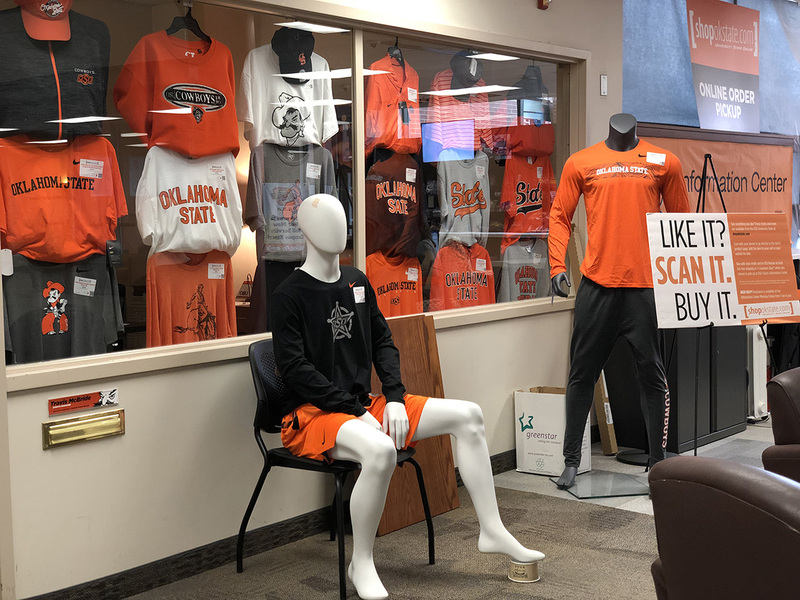 And because OSU owns and operates the University Store, every shopokstate.com purchase directly benefits OSU students and services. For questions, contact Travis McBride at 918-594-8252 or by email at travis.mcbride@okstate.edu.